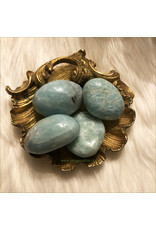 Amazonite Palm Stone ★ Amazonite is a great crystal to open up your heart chakra and release any toxic emotions. Helps with anxiety to calm the mind. Just hold and take in the luster and beauty of the calming color. 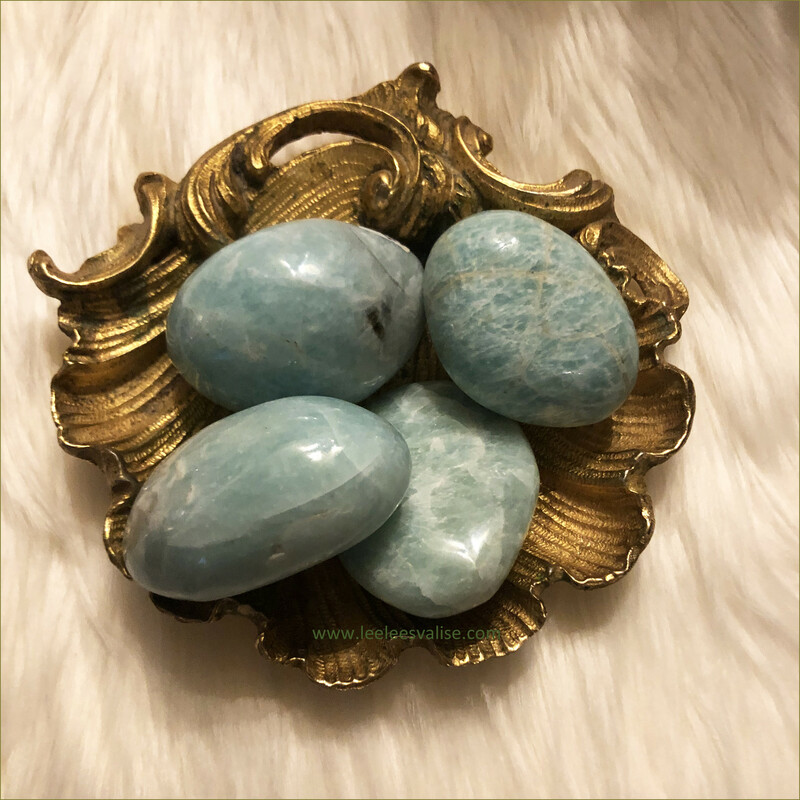 Add this Beautiful Amazonite Polished Palm Stone to your Mediation Altar and Crystal Grids, or anywhere in your space. "I can achieve anything I set my mind to do." "My senses are in tune with my surroundings." 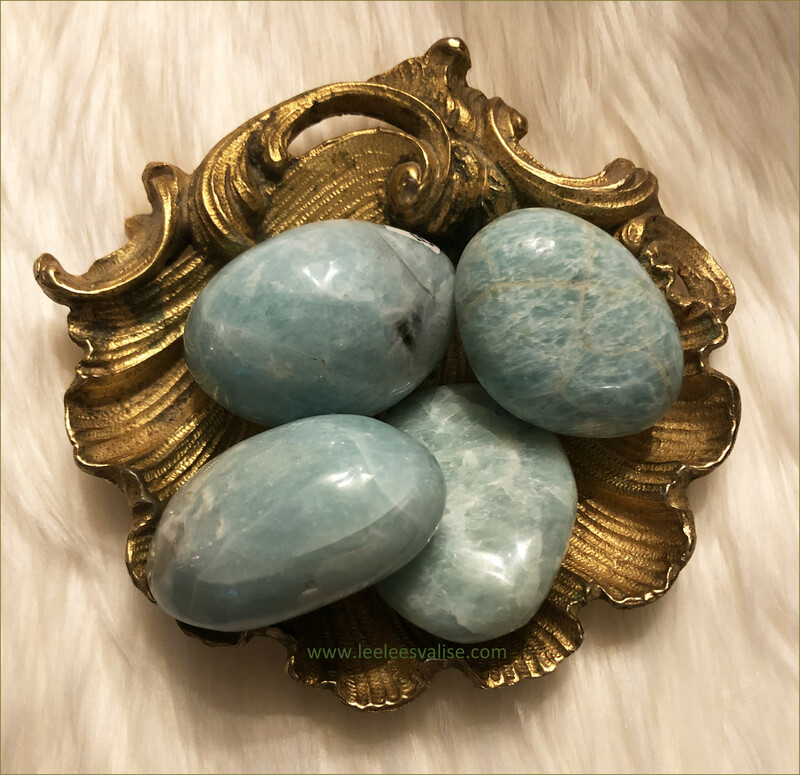 Amazonite can be used to connect and communicate with Fairies and Nature Spirits. 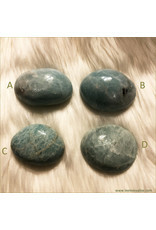 It is a “Stone of Success and Abundance”, attracting focus and good luck. 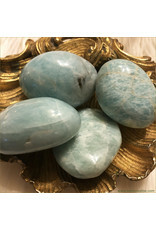 Amazonite can aid in a peaceful transition when it is time to leave this life. 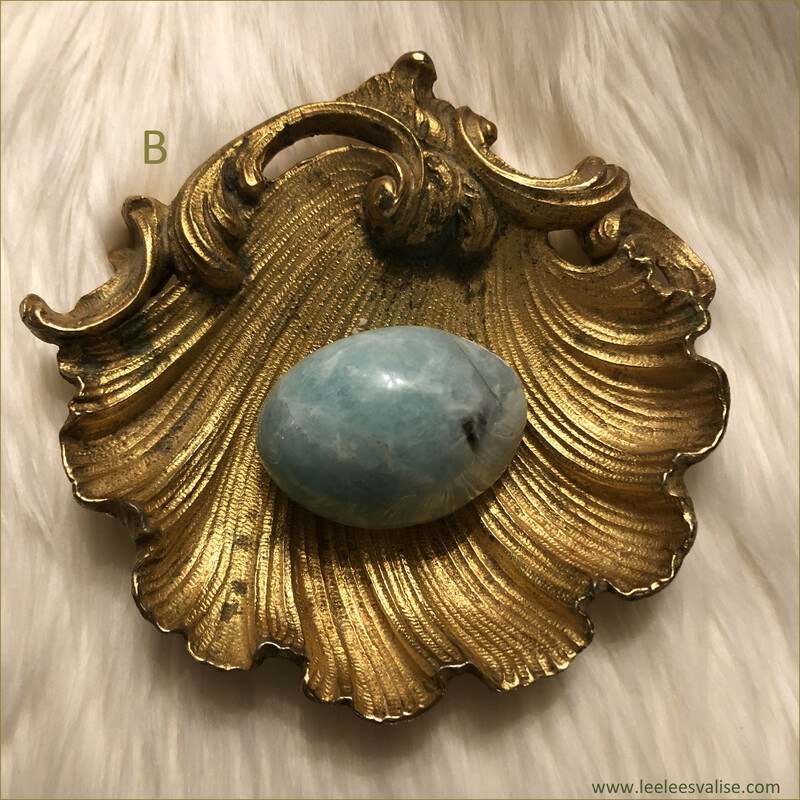 Amazonite aligns the physical and subtle bodies, and assists in balancing the yin and yang (male and female) energies, helping one to escape the illusion of separation from the Divine. 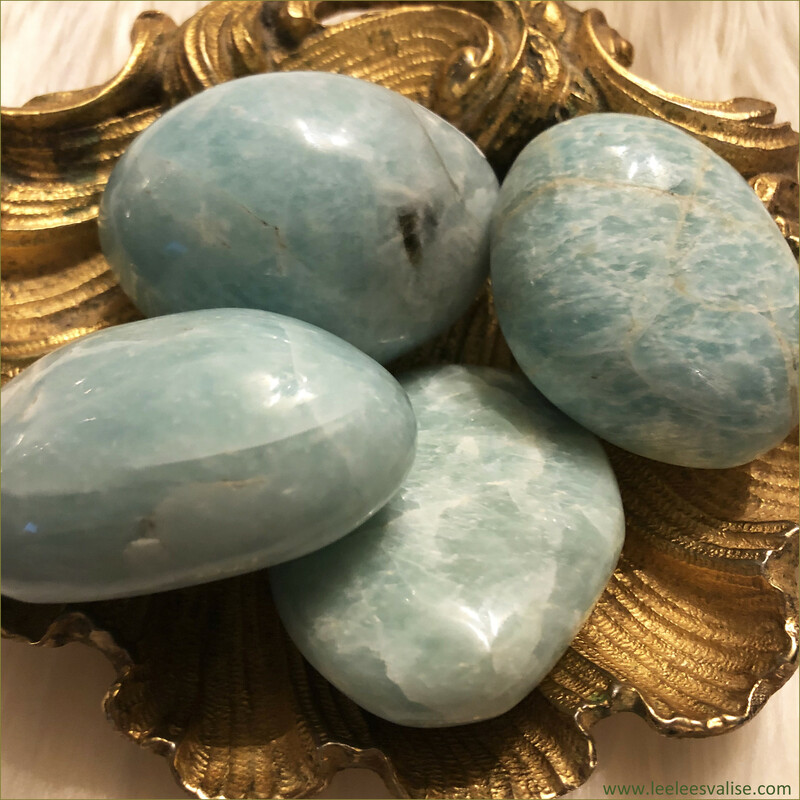 Known as the “hope” stone, the Amazonite crystal is an excellent manifestation tool, especially when you incorporate its energy into daily meditation practice. 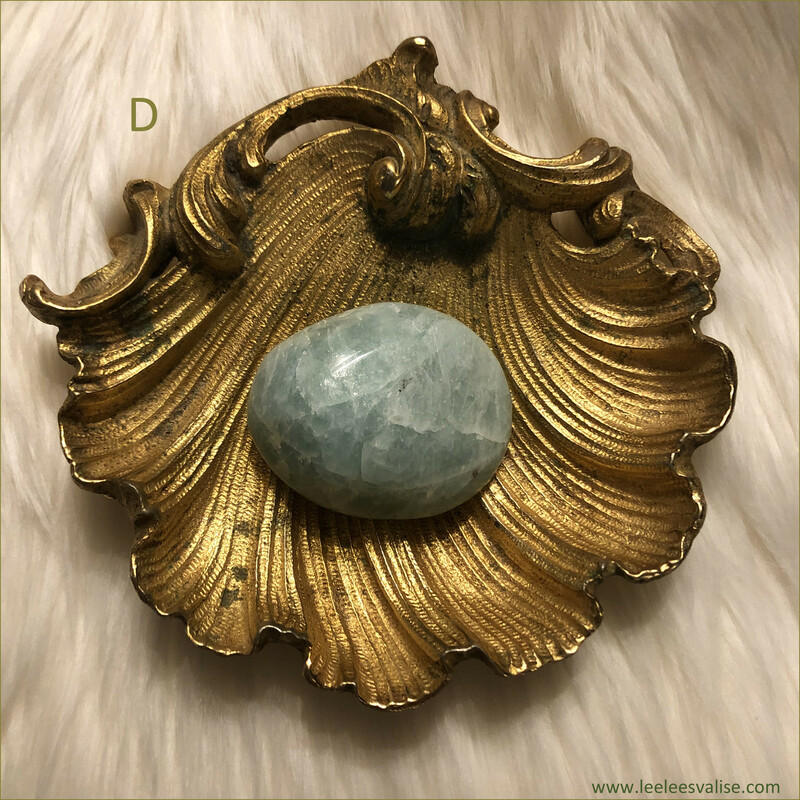 When you meditate with the crystal, visualize a river, a flow of water that is washing away psychic debris and negativity from past traumas. 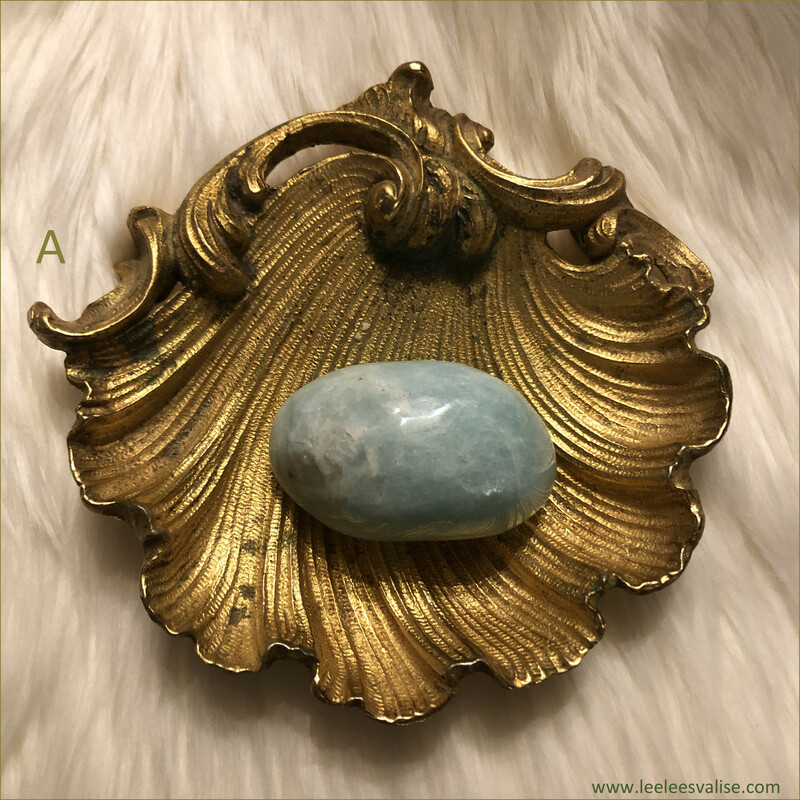 Physically, Amazonite can assist with throat, thyroid, sinus, chest and lung issues; breast health; upper spine and recovery after surgery/illness. 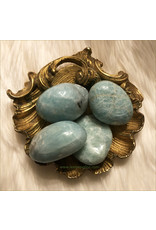 Use Amazonite to help in maintaining overall health and a healthy lifestyle. History: Amazonite was also used back in the ancient times too. 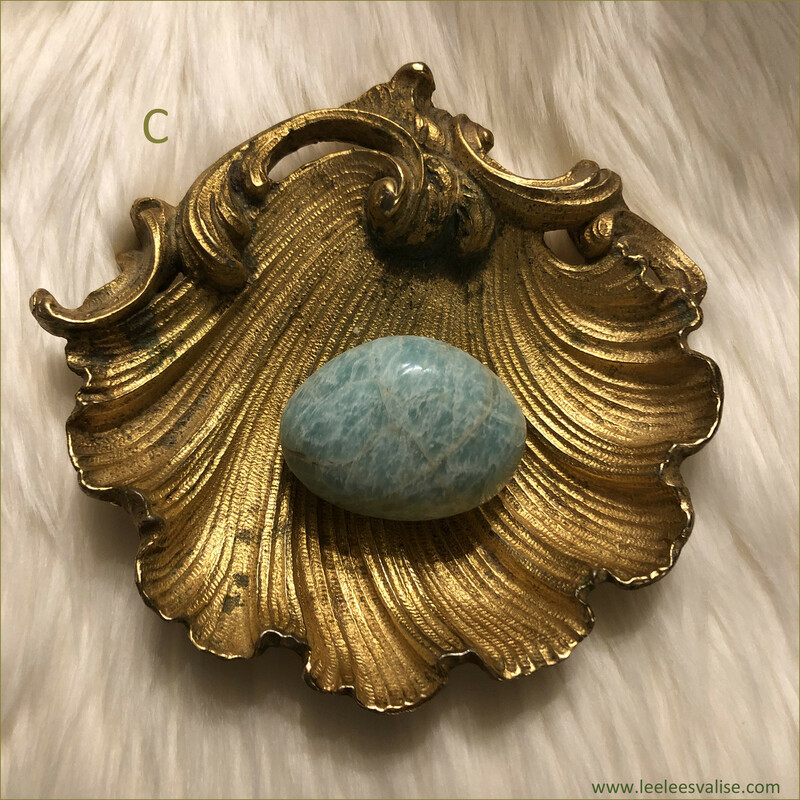 The blue-green hue of Amazonite was a notable feature of lavish and opulent Egyptian emperor tombs. 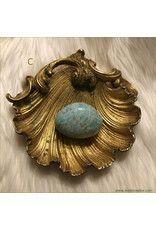 Amazonite was also often paired up Lapis Lazuli (a dark blue gem) and Carnelian (an orange gem) too. 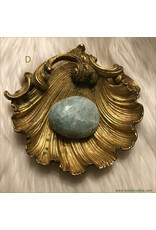 The most famous of those instances was the mask of Pharaoh Tutankhamun which was decorated with Amazonite. 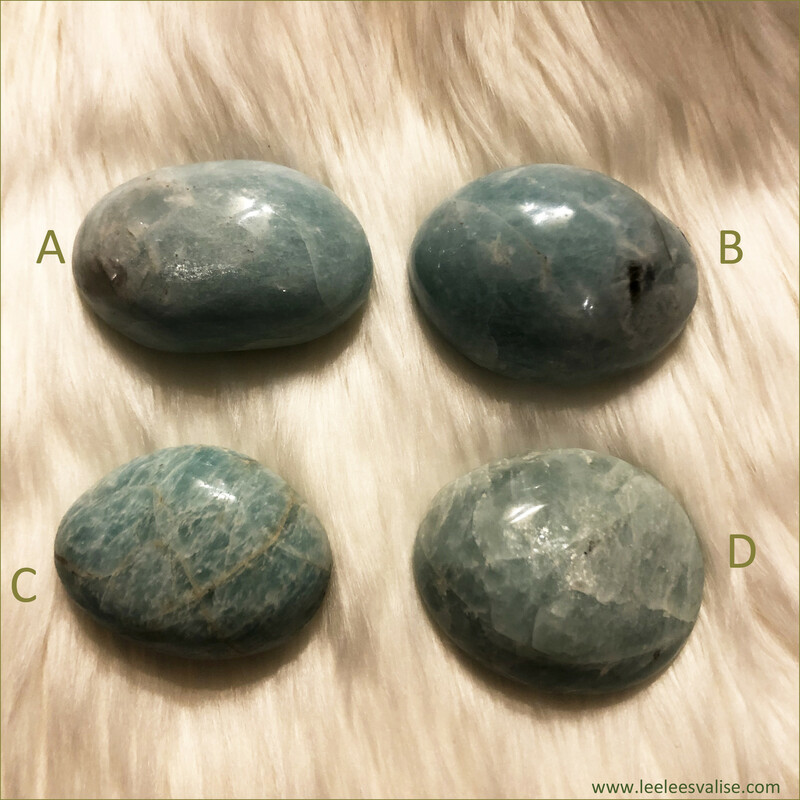 you will receive one (1) palm stone that you have chosen from a, b, c or d.